3. Keep both feet on the footrests. 4. Shift your weight uphill. 5. Proceed at a steady rate of speed and throttle opening. 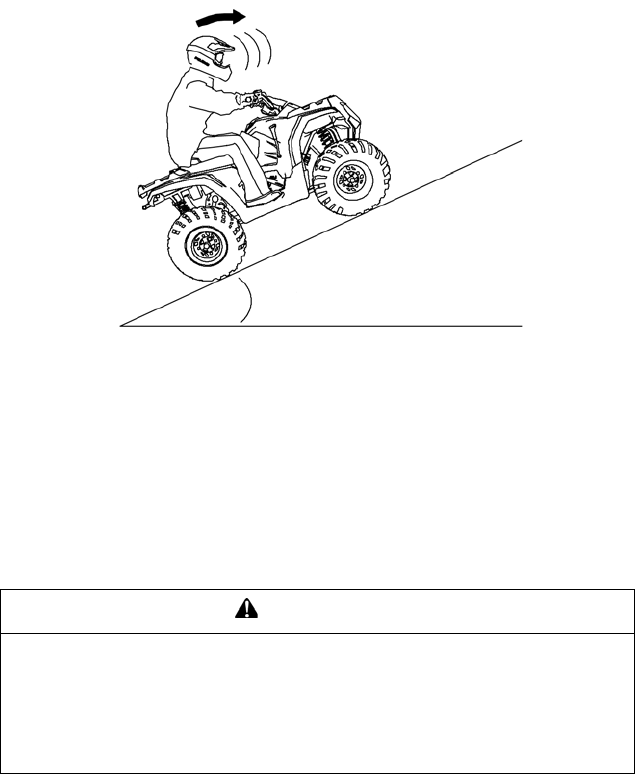 Braking and handling are greatly affected when operating in hilly terrain. Avoid climbing steep hills (25° maximum). procedures outlined in the owner&apos;s manual.